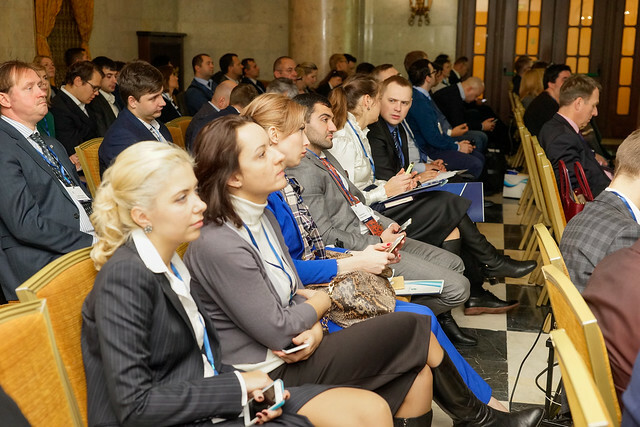 «Healthcare Investments» conference has proved itself as a key event of the industry, dedicated to investments in the private healthcare sector, attended by investment community and leading medical operators, private clinic and laboratories. For the fifth consecutive year, the conference will bring together key industry players including representatives of investment banks, private equity funds, medical operators, private clinics and other market participants to discuss the most pressing issues. During two-day event, key market players will discuss how the market has changed, what commercial opportunities may appear in the near future, as well as examining existing business models and strategic decisions - all that is absolutely necessary for successful development in the dynamically changing market enviroment. 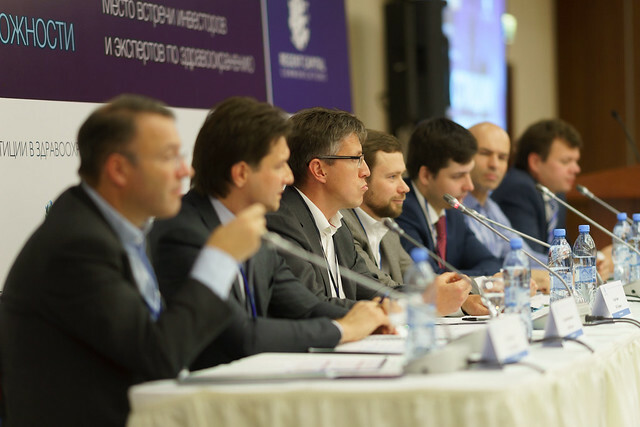 Speakers include: AFK Sistema, UFG Private Equity, Baring Vostok Capital Partners, Team Drive, Russia Partners, Robomed Network, RMI Partners, IMG Russia, DOC +, Senior Group, Helix, Paul Ramsay Holdings Russia, LINLINE, Meditex, Medical Investment Group, MEDME, Atlas Biomed Group, Medesk and others. Business: management of private medical companies, partners and directors of investment funds and banks, heads of strategic and investment departments of investment and industrial groups and insurance companies. Professional intermediaries: tax and financial consultants, law firms, business process optimization consultancies, analytical companies and others. - Investment Director, Investment Fund "Strategy"
- Vice President for Finance and Investments, "MEDSI"
The cost of participation is indicated excluding VAT. Group discount is available with the participation of 5 or more delegates from one organisation. For further information please contact registrations department. «Healthcare Investments» conference will become a source of truly invaluable information and provide you with practical advice with regards to existing market opportunities of private medical services. Take advantage of a series of keynote presentations, panel discussions, best-practice sharing and networking opportunities. The event is a comprehensive platform for facilitating exchange of practical experience and obtaining latest professional business insights during live communication with partners and colleagues. Healthcare Investments conference will bring together representatives of leading medical operators, private clinics, investment banks, private equity funds, investment & industrial groups and consulting companies to discuss investment opportunities emerging in the market, new business models and create new partnerships. Special delegate fee for clinics, laboratories and diagnostic centers. Thank you for your interest. Please, fill in this form to request the detailed conference agenda. After submitting the form, conference agenda will be sent to the e-mail address which was indicated in this form. Please fill out the form to register for the event. Information provided will be used for contract and invoice. Payment must be made in full within 14 calendar days from the date of the invoice. If you wish to replace a participant, you must inform in writing 48 hours before the event. 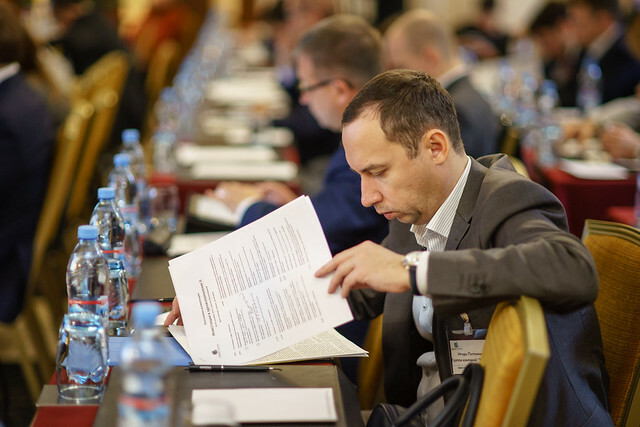 In case you can not find a replacement for a delegate, you will be provided with a credit voucher for the full amount that you can use to pay for the participation of other conferences of Regent Capital Communications. In case of cancellation delegate fee will be refunded less 40% as a cancellation fee, providing you notify Regent Capital in written form no less than 30 calendar days prior to the event. No refunds will be given for cancellations received 30 calendar days or less prior to the event and a credit voucher will be issued for the full amount paid. Credit voucher can be redeemed against any other conference organised by Regent Capital. If you are unable to attend and fail to notify Regent Capital of this in writing no refund is given and a credit voucher is not issued. In case of absence of payment, you will be denied participation in the conference. After submitting the form, the invoice and contract for participation in the conference will be sent to you by e-mail, which you indicated when completing this form.